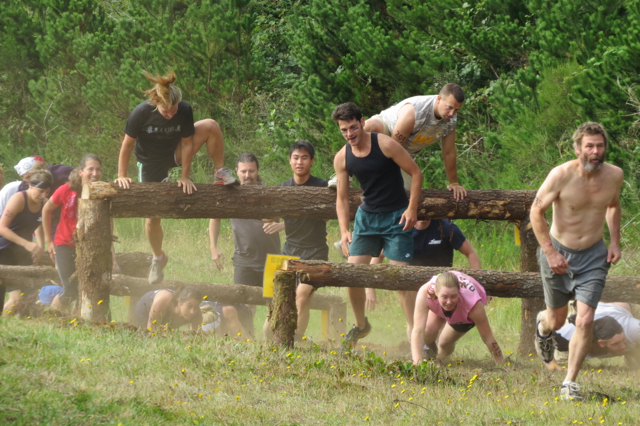 (Newport, Oregon) – Mud, a wild running course full of obstacles and pirates will be the center of a riotous new annual event in Newport with the Buccaneer Rampage Mud Obstacle Race on August 23, at the Newport Municipal Airport. It’s the second event now, expected to double in participation from last year’s healthy debut of nearly 200 athletes, and it is unique as it is the first of its kind on the Oregon coast. Newport Parks and Recreation puts on the event, which is drawing runners from all over the state, even in its early registration stages. Dressed as pirates, runners rampage through mounds of mud and kooky surprise obstacles. The emphasis is on fun and laughs, said Mike Cavanaugh, Sports Coordinator for Newport Parks and Recreation. The course will feature a number of challenges obstacles that will be spread over muddy, steep terrain, including wall climbs, mud crawls, and running in between. To go with the race theme, every athlete must walk the plank and plunge into a pit of water to reach the finish line. Obstacles are set up to challenge racers’ strengths, agility and processing skills. Each participant must figure out their own way around them. Some use strength, some use teamwork and others use speed and quickness. There’s no wrong way to complete the course. Several surprise obstacles will show up this year. Spectating is easy and it’s fun to watch to the runners get caked in mud, said Cavanaugh. People will be able to move around and watch competitors deal with the challenges. There will be a DJ playing music, food vendors and a beer garden throughout the day. Prizes will be given to the best male and female pirate costume. The 2nd annual Buccaneer Rampage Mud Obstacle Race begins at 11 a.m. and goes until 4 p.m. Event pre-registration is $30 until August 21. Day of registration is $45 and closes ten minutes prior to the race. All participants will receive an event t-shirt and medal for crossing the finish line. Newport Parks and Recreation is also in need of volunteers for this event. If you’d like to help, please email [email protected] or call 541-574-5453.